I painted this simple scene after a walk one evening. The sunset was particularly impressive and I liked the way the old Bass Maltings was silhouetted against the dramatic sky. 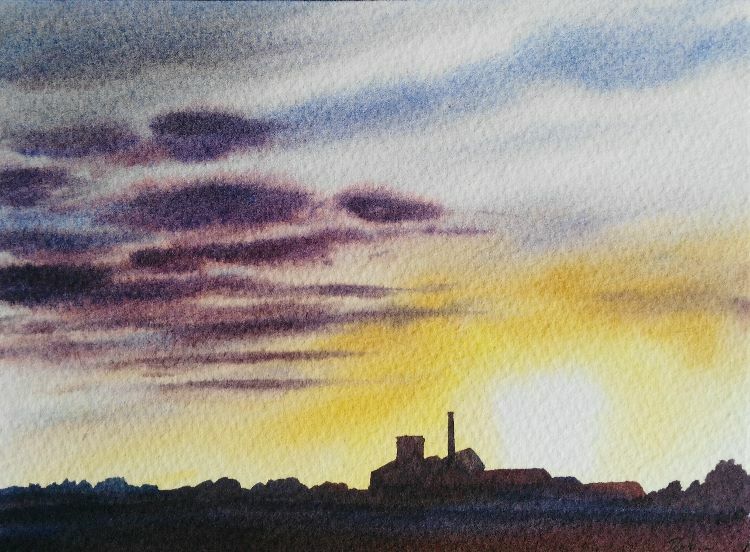 19cm x 14cm.